European Club Hole 3: At under 500 yards and downhill, one might think this an easy par five hole, but the drive has a forced layup to stay short of bunkers and a fairway the width of a finger nail. Although I'm not a fan of such design elements, there is no doubting the beauty of this hole. European Club Hole 7: This fantastic par four heading right towards the ocean features a difficult drive both visually and in actuality. 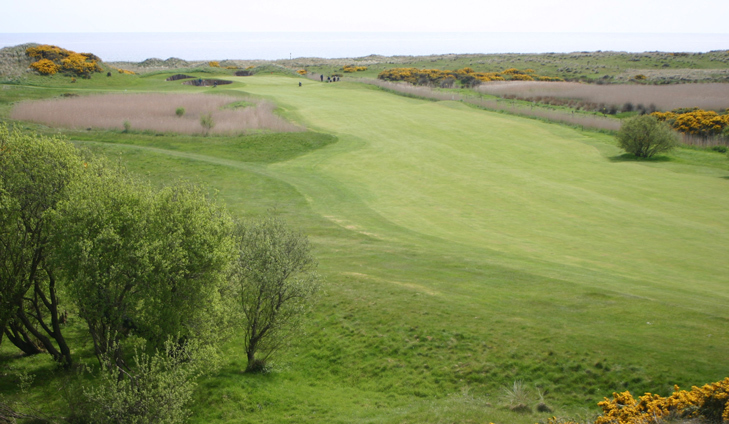 The player is faced with a shoot of gorse bushes to fire down, being fully aware of the creek to the right of the fairway that is out of sight but not out of mind and the reed-filled lake left that is in sight, even if tough to reach. The approach after a good drive still must find the green with bunkers left and a hill right pushing shots towards the small creek (picture here from 6th tee). European Club Hole 7a: A fun part of this course is that Pat Ruddy had so much good land for one-shot holes, he added two extra holes that can be played without having to go out of one’s way from the normal routing. 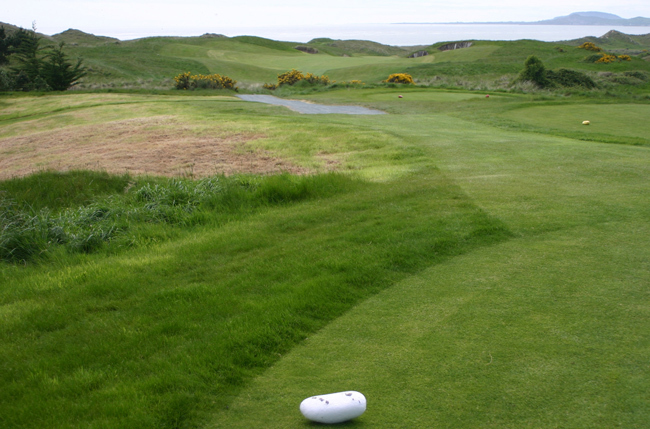 The back tee at the 7a extra hole is as close to perfect as a links golf vista as one gets. European Club Hole 12: Although the course has a few holes along the coast, this one is the most spectacular and has the most reasonable chance of finding the beach. More interestingly, the green is actually 127 yards deep in another eccentric move, which means the length of the hole and the ensuing strategy can change heavily based on the simple factor of pin placement. 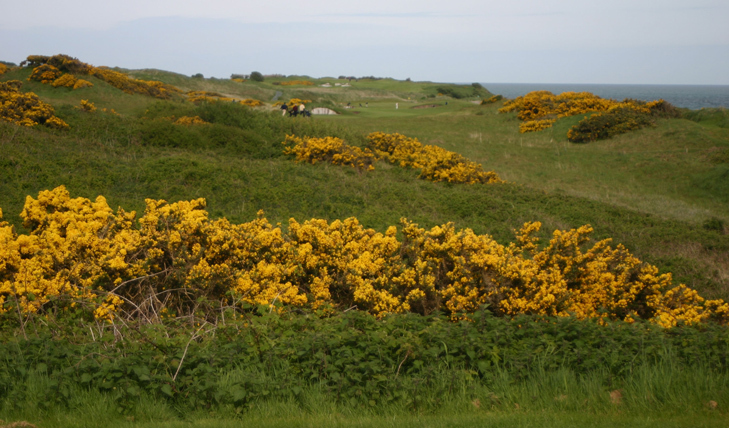 European Club Hole 13: This long par five is beautifully routed through the gorse bushes and follows the coast line. The green is not deep but extremely wide allowing for a wide range of visuals on the approach. 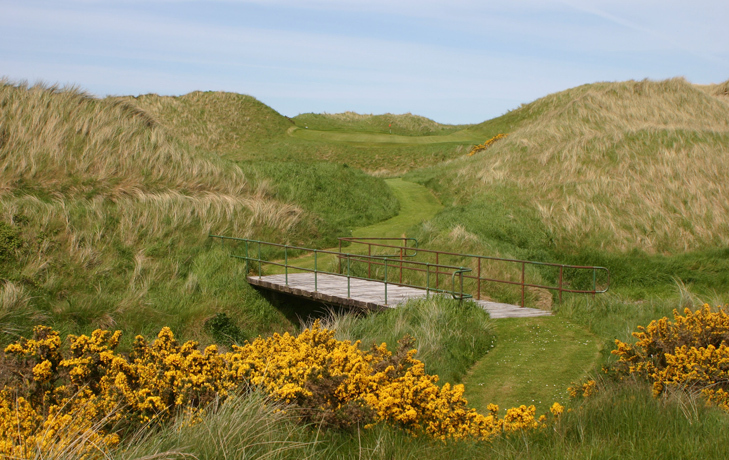 European Club Hole 17: This hole is relatively straight-forward, but is framed by large dunes on both sides. It plays downhill and the little tree in the fairway needs to be avoided. 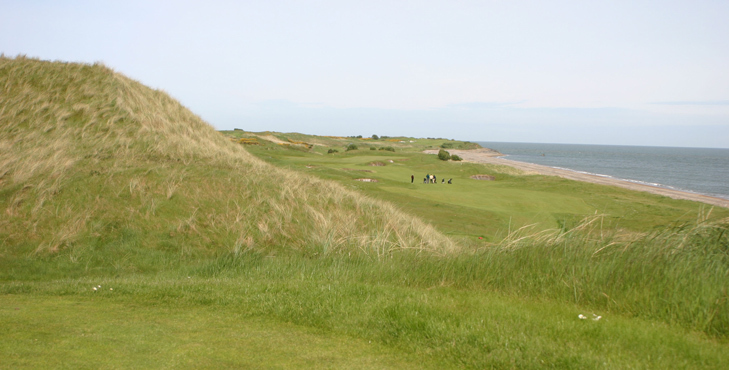 Read More Ireland Golf Reviews.